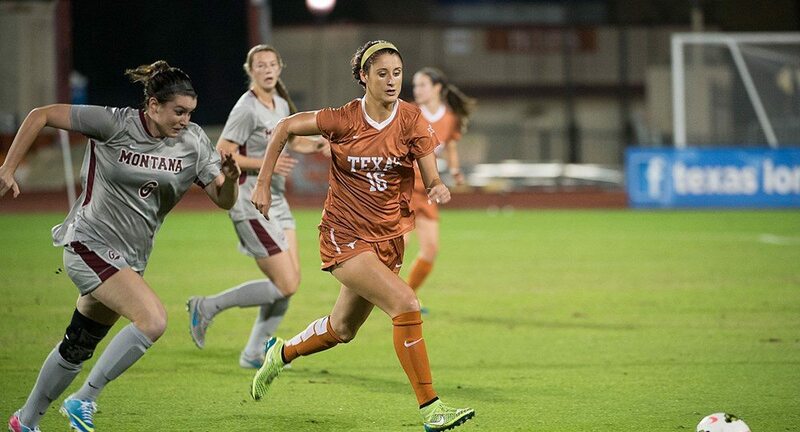 Midfielder Kayra Dollas scored her first goal of the season Friday, but the Texas soccer team could not make that lead hold up, losing in double overtime loss to Oklahoma State, 2-1 (photo courtesy of texassports.com). AUSTIN, Texas — Sophomore midfielder Kayra Dollas scored her first goal of the season in the 62nd minute to give the Texas soccer team a 1-0 lead, but her team was unable to hang on to it, giving up the tying goal almost nine minutes later before falling, 2-1, at home to Oklahoma State in double overtime. With the loss, which was UT’s second straight and extended its winless streak to three games, the Longhorns fall to 6-5-1 overall and 0-2-1 in Big 12 games. OSU improved to 6-5-2 overall and 1-2-0 in Big 12 games.